Our RD Sharma Textbook Solutions are considered extremely helpful for solving the tough questions which are asked in the CBSE Class 9 exam. TopperLearning Textbook Solutions are compiled by subject experts. 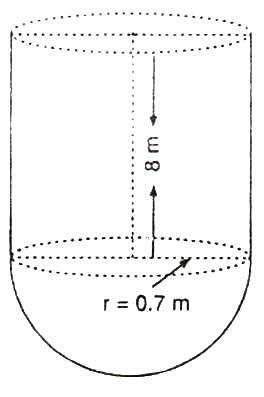 Herein, you can find all the answers to the textbook questions for Chapter 21 - Surface Areas and Volume of a Sphere. All our solutions are created in accordance with the latest CBSE syllabus, and they are amended from time to time to provide the most relevant answers. Our free RD Sharma Solutions for CBSE Class 9 Mathematics will strengthen your fundamentals in Mathematics and will help you in your attempts to score more marks in the final examination. CBSE Class 9 students can refer to our solutions any time — while doing their homework and while preparing for the exam. Hence, correct option is (a). 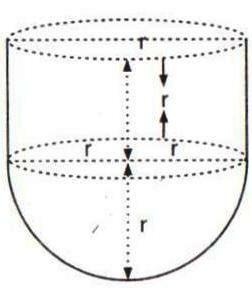 A hemisphere has two surfaces: one top surface and other curved surface. 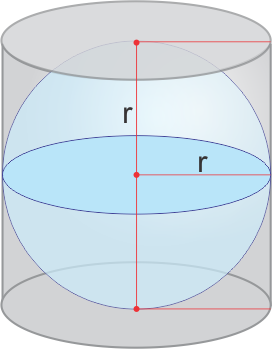 Sphere touches cylinder at Top, Base and Lateral Surface. Hence, correct option is (c). TopperLearning provides step-by-step solutions for each question in each chapter in the RD Sharma textbook for class 9. 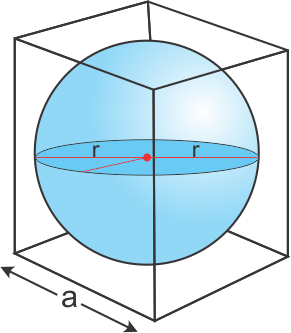 Access the CBSE Class 9 Mathematics Chapter 21 - Surface Areas and Volume of a Sphere for free. The textbook questions have been solved by our subject matter experts to help you understand how to answer them. Our RD Sharma Textbook Solutions will help you to study and revise, and you can easily clear your fundamentals of Chapter 21 - Surface Areas and Volume of a Sphere.